We are well equipped Infrastructure so that we are able to manufacture best quality Post Hole Digger Gearbox. We have etched a formidable name for ourselves as a manufacturer continually exceeding customers' expectations. Hydraulic Post Hole Digger is equipment, which can drill / dig holes of various sizes and depths in soil. 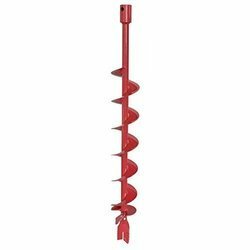 AUGER SIZES: 12", 18", 24", 36"
- As it is a PTO driven Implement, it is fastest method to dig holes in farm land. 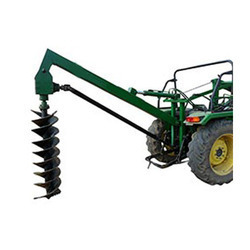 Post Hole Diggers are designed to meet a wide range of customer needs and applications. From 6 post holes to 24 tree balls, and from homeowner land scaping needs to large industrial projects, post hole digger is just right for your application. Description : Post Hole Diggers are ideal for fencing, tree planting etc.It is a very accurate method to dig holes and being a PTO driven implement it is the fastest method to dig holes. It can be easily attached the tractor with a three point linkage system. Available as : SINGLE POST HOLES DIGGERS & DOUBLE POST HOLE DIGGERS. Specification kindly find the attachment.